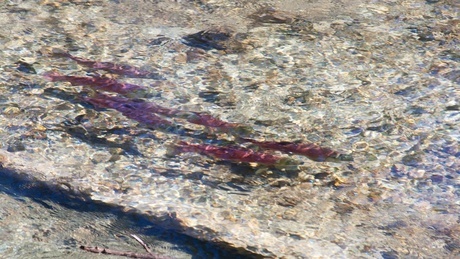 The National Oceanic and Atmospheric Administration has sent a letter to more than 200 Columbia Basin stakeholders announcing that it is seeking input on ways to restore endangered wild salmon and steelhead in the region. But Idaho Rivers United said it is concerned about NOAA's apparent lack of urgency. "This is an opportunity for people to work together on the shared goal of restoring our endangered salmon," said Idaho Rivers United Executive Director Bill Sedivy in a press release. "Such direct and inclusive stakeholder engagement hasn't been tried for Columbia Basin salmon." However, Sedivy said, "our salmon returns are projected to be down in 2013, and we're still operating under an illegal biological opinion that's scheduled to be rewritten by January 2014. We're ready to participate in this process, but our salmon are in trouble now."